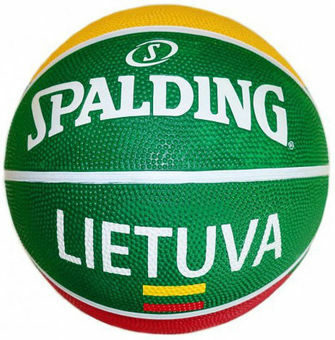 Basketball ball Spalding LITHUANIA - for a true Lithuanian basketball fan! an ideal ball for playing in the gym. Become a great player with the highest level of innovative and durable production! Nylon seams - keeps a strong and deformable shape to a maximum. The high quality and balanced butyl camera keeps the air pressure at the right level.